Classical spiritual Enlightenment refers to a state of spiritual consciousness depending on two necessary conditions |...| causing ‘Illumination’ (in Christian terms), meaning the possibility of ‘abiding in Light’. Such mystically-supported definition of God is ‘scientifically acceptable’ as it is based on ‘contrasted experiential reality’, with constituents (Spirit, Light and Love) consistently acknowledged, and replicable. The white Light or Clear Light stands at the door between the worldly, subtle and higher spiritual perception on one side and Divine Cognition on the other side. The Supermind, in combination with the Overmind, supports the latest known accessible stage of human spiritual evolution. This stage is known as Supra-mental Transformation in Aurobindo’s Integral Yoga. Body-mind: what is called the body-mind compound may include the three aspects of personal self (mind, emotions and physical body) or the three aspects of personal self plus the three aspects of subtle self (soul, vital body and evolutionary body) depending on the context. Divine Cognition: the perception of the Glory of illuminated Divine Existence. Divine Cognition implies the simultaneous experience of the three aspects of Spirit during surrendered contemplation, when the mystical experience of the Trinity is revealed at the ‘Essential level’ (or ‘Ousianic level’). In it, the Spirit-Truth, Light-Life and Love-Power are simultaneously acknowledged. Enlightenment: classical spiritual Enlightenment refers to a state of spiritual consciousness depending on two necessary conditions: (1) the perception of the Universal Spirit; (2) the activation of the Sushumna Nadi through the awakening and full ascension of the Spirit Force, causing ‘Illumination’ (in Christian terms), meaning the possibility of ‘abiding in Light’. Only if both conditions are satisfied, one is said to have achieved Enlightenment in the classical sense. Moreover, Divine Enlightenment refers to the condition of consciousness achieved by the perception of the Universal Spirit together with the experience of at least one of the phases of subsequent descent of the Spirit Force. In the Three Pillars Model, the descent of the Divine to the human condition is described in three phases—to the heart, to the vital body and mind, and to the physical body—each of them corresponding with the activation of a particular Nadi or Divine Pathway. Any of these three phases represents a type of Divine Enlightenment with its own characteristics. Furthermore, a Christ-like Enlightenment should include the need of personal Regeneration, together with the other requisites for classical Enlightenment and Divine Enlightenment. In the Christian mystical tradition the notion of Christ-like Enlightenment implies Divine Cognition (i.e., the contemplation of the luminous Glory of existence). Additionally, there are other notions of spiritual Enlightenment in contemporary spirituality, which do not include the role of the Spirit Force, nor the need of personal Regeneration. These notions refer to the states of ‘soul-illumination’ (Self Realization with illumination of being through association or Initiation within a spiritual Lineage) and to ‘neutral realizations’ (Self Realization without illumination of being). 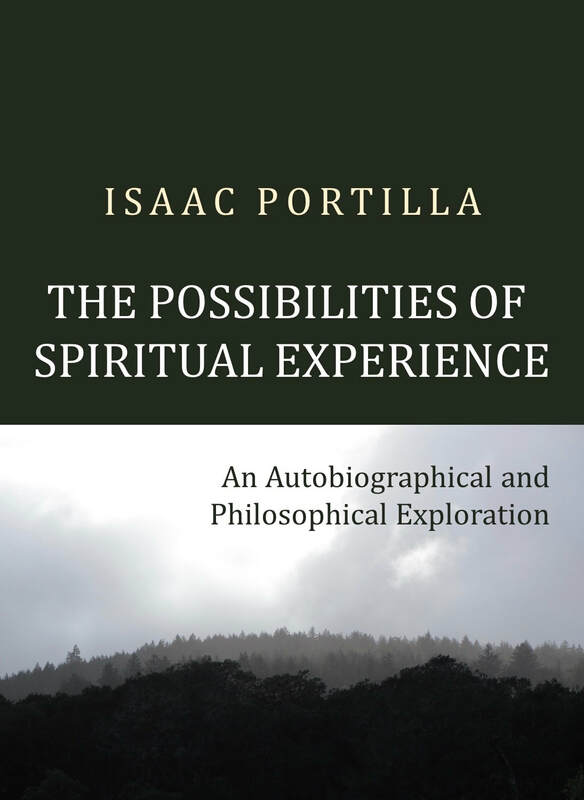 We can conclude with the general observation that the aggregate experience of the various aspects of Spirit (at the various patterned stages in the Three Pillars Model), and the interaction and integration of such experience with all other aspects of being (at their various levels), provide a wide range of possibilities for spiritual existence and a wide range of definitions of ‘spiritual Enlightenment’. God: the Living God is defined in the Bible’s New Testament as Spirit, Light and Love. Such triune, triple or triadic structure of God corresponds and matches the three aspects of Spirit of the Three Pillars Model. The Model presents a scientifically-defensible structure of the Divine, emerging through a process of methodological enquiry, taking as its basis the testimonies of Masters, Mystics, Sages, Saints, and other ‘beholders of Spirit’. Such mystically-supported definition of God is ‘scientifically acceptable’ as it is based on ‘contrasted experiential reality’, with constituents (Spirit, Light and Love) consistently acknowledged, and replicable (under certain conditions and practices), coming about through a process of ‘abductive methodological emergence’ under the axioms of the study. (These are the same axioms of a spiritual science which would aim at the understanding of the constituents of the human divine being. These axioms are explained in the chapter, ‘Demarcation, Axioms and Spiritual Science’). Holy Spirit: the Holy Spirit is a term used in the Christian tradition. I have come to differentiate between the Holy Spirit-Force and the Holy Spirit-Fire (based on direct experience, Scriptural evidence, and the application of the Method of Spiritual Enquiry). The Holy Spirit-Force (or Holy Force) is the Divine Energy or Primordial Power that operates in us through ‘ups and downs’, as when it descended in Jesus upon His Baptism in the Jordan. The Holy Spirit-Fire (or Holy Fire) is the Comforter, the purifying regenerative Fire that brings Life and ‘spiritual salinity’ to our being and which came to the human condition only after the Passion, Atonement, Resurrection and the Glorification of Christ (i.e., after the Enthronement of the Logos in the Spirit of Truth in relation to Earth’s conditions). Indian Dharma: I often use the term Indian Dharma (in spite of Hinduism) to refer to various mystical-spiritual traditions and denominations—Yogic, Advaitic, etc.—which have its origins in the region of India except for Buddhism. Life: I use the term Life, with capitals and italics, for that ground of being in which life (as we know it) and an ideal Divine Life meet. Thus, Life is the circumstance in which our lives start becoming conscious and luminous by the realization of Spirit, by the conscious presence of the Divine. Light threshold: the white Light or Clear Light which stands at the door between the worldly, subtle and higher spiritual perception on one side and Divine Cognition on the other side. It is perceived by the Illuminated-mind (characteristic of classical Enlightenment), but especially by the Transcendent-mind of self-realized souls, then giving pass to the Overmind (or white-blue Divine Love) and the Supermind (or white-golden Divine Bliss), both containing a wide range of color modifications coming from the Divine Realm. Logos: the Word, the Christ, the Life and Light through and of which all things are made. Method of Spiritual Enquiry: the scientific process of exploratory research utilized for the construction of the Three Pillars Model and for its practical applications (e.g., enquiry into open-questions belonging to the spiritual field, reconciliation of contradictory spiritual testimonies and points of view, design of spiritual practices and programs, etc.). The Method of Spiritual Enquiry includes both logical and experiential enquiry, thus combining rational and supra-rational methods. The following table shows an overview of the methods utilized in the study. Logical (L) Mode: Rational: Abduction (L1); Induction (L2); Deduction (L3); Coherence (L4). Nadis: the pathways of the evolutionary body through which consciousness operates in our being. Of special relevance are the Divine Pathways or Divine Nadis, which the Spirit Force activates, marking the spiritual evolution of the human being. These special Nadis or Divine Pathways are the blueprints of the Divine Will in us. In the Three Pillars Model there are four Divine Nadis recognized (the Awakening Conduct or Sushumna Nadi, the Self-realization Conduct or Amrita Nadi, the Equilibrium Conduct or Tilaka or Prema Nadi, and the Frontal Descent Conduct), each of them corresponding to one phase of spiritual Development. Overmind: the Truth-Consciousness from which all forms of spiritual Liberation and related Heavenly Abodes arise, and in which all Abodes of Divine Liberation are unified. The concept of the Overmind was introduced by Indian sage Sri Aurobindo in the first half of the 20th century. In the Three Pillars Model, the Overmind corresponds to the descent of the Spirit Force to the vital and mind levels, at the Equilibrium phase (within the Development Pillar). The Overmind is associated with the white-blue Divine, ‘the Agape’ and Divine Love. Self Realization: the perception of the Universal Spirit as all-pervading Consciousness or ‘limitless Self’. In the Three Pillars Model it corresponds to the second stage of the Realization Pillar. Self Realization, as a stage of the First Pillar, should not be automatically equated with the Self-realization phase of the Development Pillar, which implies the descent of the Spirit Force to the heart (they may happen at the same time, thus producing and ‘aggregate experience’, but not necessarily so). Supermind: the Truth-Consciousness which frees the human condition from all limitations which restrict Divine Love (Ananda) to fully descent into being (even at the physical level). The concept of the Supermind was introduced by Indian sage Sri Aurobindo in the first half of the 20th century. Within the Development Pillar of the Three Pillars Model, the Supermind, working together with the Overmind, corresponds to the descent of the Spirit Force to the physical level, at the Frontal Descent phase. The Supermind is associated with the white-golden Divine and works together with the white-blue Divine of the Overmind. The Supermind, in combination with the Overmind, supports the latest known accessible stage of human spiritual evolution. This stage is known as Supra-mental Transformation in Aurobindo’s Integral Yoga. (The assumed effects of Supra-mental Transformation are similar to those expected from spiritual Resurrection, implying psychophysical Divinization, and so both processes may work together in a context of collaboration of Regeneration and Development.) According to Aurobindo, any phase of Development associated with the Supermind would be considered a ‘work-in-progress’ at the present moment. Three Pillars Model: the theoretical-contemplative framework which emerged through the use of the Method of Spiritual Enquiry. Most spiritual schools, for the first condition would accept the perception of the Universal Spirit as all-pervading Consciousness, but not those within the Buddhist tradition, which would require its perception as ‘Emptiness’ (implying the need of accessing a further stage in the Realization process). When considering the possibility of spiritual Resurrection and Supra-mental Transformation working together toward a common (at least quite similar) goal—psychophysical Divinization—we would be assuming a combined contribution to the constitution of the human divine being of the Personal Spirit, in the highest known stage of Regeneration (i.e., spiritual Resurrection), and of the Spirit Force, at the highest known stage of Development (i.e., Frontal Descend, together with Overmind and Supermind manifestations). A common goal would imply potential ‘conditional unifications’ of the Second and Third Pillars with the First, when co-essential level experiences (Divine Cognition) take place. However, at the ‘hypostatic level’, there would be aspects of psychophysical Divinization belonging to the Second Pillar (e.g., Harmony, the capacity of resilient coherence) and some others to the Third Pillar (e.g., Bliss and Divine Power), the First Pillar representing the contributing background experience of Peace and the function of stability for the whole endeavor. In the aforementioned context of a potential collaboration between the Second and Third Pillars (i.e., a context in which spiritual Resurrection and Supra-mental Transformation would work together), some may argue that their goal cannot have the status of ‘work-in-progress’, because it was already demonstrated by Christ (meaning that Christ already accomplished the psychophysical Divinization through the Resurrection). However, we must realize that Christ was not an incarnated soul following the patterns of evolution of an ordinary human being, but the Logos restoring the access to the personal aspect of Spirit and demonstrating such possibility in a human being, even to its physical degree. Therefore, we may say that Christ established the possibility of psychophysical Divinization on Earth’s domain, and by inductive resonance, we assume it is possible that such attainment can be accomplished in the human being (such is the Christian faith), but it is yet to be achieved, and thus the ‘work-in-progress’ status still stands. Furthermore, we do not know to what extent the results of ‘spiritual Resurrection’ (as a process of spiritual Regeneration occurring in a living human being) would be similar to ‘Christ’s Resurrection’ under current conditions; what might be possible in this respect is a ‘conditional spiritual Resurrection’, which does not require the person to leave the Earth’s domain, and which could be less-conditional as better Divine Life conditions emerge and as our physical bodies become better equipped for Divine Existence (but this topic is all too uncertain yet).